It seems Canon are about to release their 60D fairly soon. Just for fun I thought I would put together a prediction of what I think the feature list will look like. I think they will use the 18 MP sensor from the 7D. I doubt they would save any money on using the 15 MP sensor from the 50D. Instead they will turn the heat up as much as possible on Nikon and use the 18 MP sensor. To keep the 60D from getting too close to the 7D it must be no faster than 6 frames per second. At the same time they can’t make it any worse than the 50D, so it must 6 fps, no more, no less. HD Video to the same specs as the 7D. That’s to say 1080p @ 30fps and 720p @ 60fps. Also, the new Live View/Video button should make its first appearance in the XXD series. They probably won’t include manual controls though, to save some goodies for the 7D. 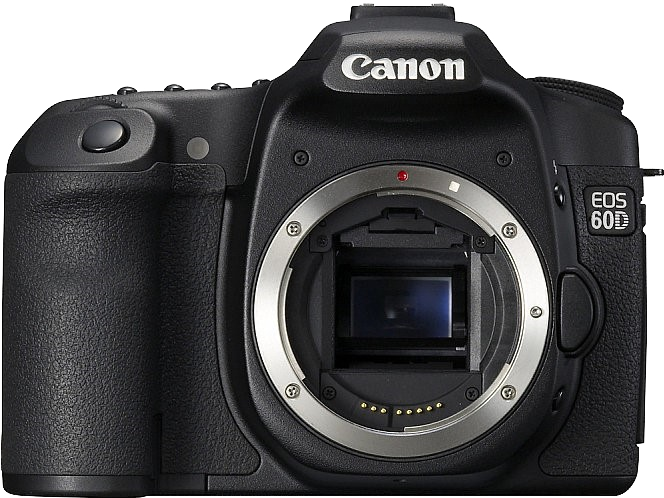 The more I think about it the more I think Canon will include the full 19 sensor AF of the 7D. There is no logical way of removing sensors from the 19 point pattern (see it here) and Canon need all the sensors to keep new camera buyers from choosing Nikon. They might make the possible configurations more limited though. I would be surprised though if they just stay with the current 50D autofocus, which has basically been around since the 20D. Canon really need to work hard (and seem to be doing so) to stay ahead of Nikon. Sadly, we’re not likely to see the nice viewfinder from the 7D, which has 100% coverage. Instead we’ll probably just see the 50D’s 95% viewfinder. This is tricky … hmm. I don’t really think this is the kind of feature that will make professionals choose the 7D above the 60D. But Canon probably think so. And as far as I know, Nikon don’t have this feature. So Canon will probably feel safe in keeping this as a 7D exclusive feature. … won’t be significantly better than the 50D. I don’t think we’ll see the nice LCD viewfinder overlay from the 7D. It will probably be one of the features used to differentiate the two models. Posted at 22:36. Tags: camera. Categories: Canon. Both comments and trackbacks are closed. I think I want more money to buy stuff for! "(BTW, why don't dpreview.com specify sensor resolution in the above way? They seem to be reasonably bright people. )"Disclaimer: I may be confused here. But assuming you're talking about the screen (not sensor), isn't it because they are using some strange technology on these screens that alter the color dots (red, blue, green) at a higher frequency, giving the illusion of a higher resolution than just 640×480 com (which, multiplied by three is 920,000 "pixels)? Or maybe you're actually talking about the sensor and question their convention of saying 12 megapixel instead of the actual resolution (4000×3000)? I think Canon will also give the 60D the dual-layer metering of the 7D. After all, it’s in the T2i — why leave it out of the 60D?? Definitely. I just forgot about the metering.